DKIM, short for DomainKeys Identified Mail, is a security scheme for email designed to prevent email spoofing. With DKIM configured, a mail server will only send mail if it originates from its domain. 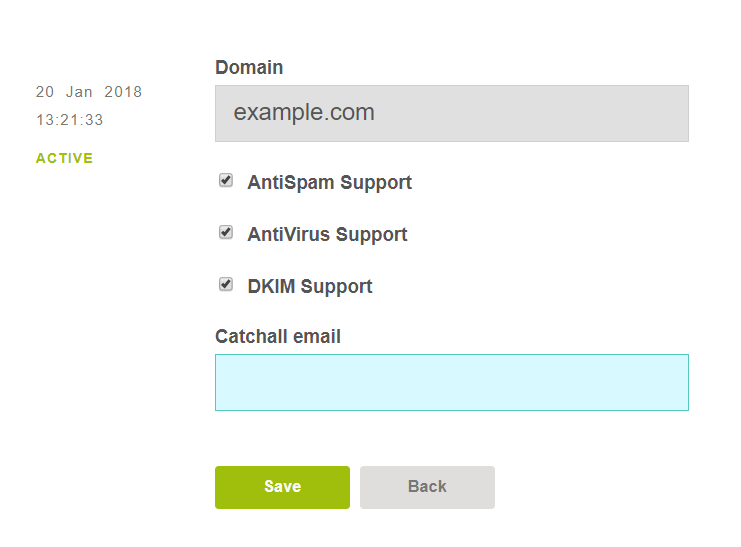 To reset your default DKIM you will need to delete mail._domainkey and _domainkey, if they are still listed, disable DKIM and re-enable it again. Navigate to DNS then select the domain and click the ‘List Records’ button. If still listed, select mail._domainkey and _domainkey, and click the ‘Delete’ button. Now we need to disable DKIM and enable it back again. Navigate to MAIL section. Then select the domain you want to edit and click the ‘Edit’ button. Disable the DKIM option and click the ‘Save’ button. Then enable it back on and click the ‘Save’ button again. The DKIM records will be added to the DNS records.